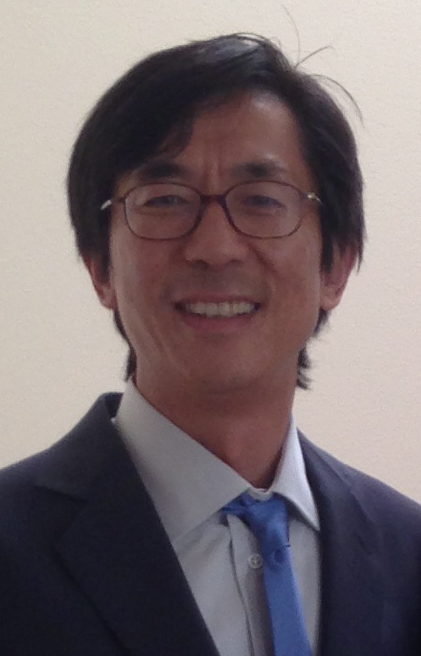 Dr. Fan-Gang Zeng is Director of the Center for Hearing Research and Professor of Anatomy and Neurobiology, Biomedical Engineering, Cognitive Sciences and Otolaryngology – Head and Neck Surgery at the University of California, Irvine. He received a Bachelor’s degree in Electrical Engineering from the University of Science and Technology of China and his Master’s degree in Biomedical Engineering at the Institute of Physiology Academia Sinica in Shanghai. Fan-Gang then went on to earn his PhD in Hearing Science from Syracuse University. He served as a research Associate at the House Ear Institute and an Associate Professor at the University of Maryland before joining the faculty at UC, Irvine where he is today. Fan-Gang is a member of the Acoustical Society of America, The Institute of Electrical and Electronics Engineers, the Association for Research in Otolaryngology, and the American Association for the Advancement of Science. Fan-Gang is here with us today to tell us all about his journey through life and science. In his free time, Fan-Gang likes to get outdoors, play basketball, hang out with his kids, and cook. He has a background in enginneering and neuroscience. The goal of Fan-Gang’s work is to help people with hearing impairments hear better. He does this using an electronic device (cochlear implant) that can stimulate a nerve to allow people with hearing loss to hear again. He also works to solve a hearing problem on the other end of the spectrum called tinnitis where people hear sounds that are not present in the environment. As a kid, Fan-Gang was generally curious and interested in a lot of different things. However, language was one of his early interests that has stuck with him throughout the years. He remembers struggling to learn English as a teenager and thinking about the process of learning languages. Hearing is actually an important component, and this was the area he chose to investigate further in his research. Fan-Gang is going through a challenging period right now trying to establish himself as a researcher on tinnitus (ringing in the ears). He is well-established in the field of cochlear implants and entering even a a slightly different research area has meant starting all the way at the beginning again in a lot of ways. Even after more than seven years working on this topic, he is still trying to get his first big NIH grant to study tinnitus. Cochlear implants have been very successful but at a cost of over $100,000 (bilaterally), they are prohibitively expensive for many people. Cost is particularly a concern in developing countries. Fan-Gang has been working on a high-performance, lower-cost cochlear implant to help improve access to this technology. He started a company, developed a prototype, and they received approval in China to start using this device that is a third of the cost of the traditional implants. Now more than 2,000 patients have had their hearing restored with this implant. When Fan-Gang was in India, he enjoyed a layover in Delhi where he was able to visit a beautiful old temple and learn the history of the place. One of the things about India that really struck him was how such a diverse group of people were able to peacefully coexist. There are people of many different religions as well as people of very disperate socioeconomic backgrounds living together side-by-side. Fan-Gang and his lab get together for potlucks and volleyball outside of the lab, and these are great opportunities to spend time together and get to know everyone. The group also gets together in the lab once a week to talk science at their lab meetings. Have fun. Passion is what will keep you going through life. Fan-Gang is a leading researcher in hearing science and technology, with over 200 publications, 8011 citations and an h-index of 43 (Google Scholar, March 2, 2015). He led development of the Nurotron 26-electrode cochlear implant (SFDA approval in 2011 and CE Mark in 2012) and SoundCure tinnitus suppressor (FDA clearance and CE Mark in 2011). He has consulted for NIH, NSF, DOD, and numerous other public and private agencies. He is the Editorial Board’s Chairman of the Hearing Journal and has been on the editorial board for 6 academic magazines. He severed as the Chair of the 2005 International Conference for Auditory Prostheses and edited 3 volumes on cochlear implants and tinnitus for Springer Handbook of Auditory Research. He holds 12 patents and has been on the Advisory Board and helped raise $80M for 5 medical device companies in US and China. He received the Syracuse University Doctoral Prize in 1991, the FIRST Award from NIH in 1994, Employee of the Year Award from House Ear Institute in 1997, Outstanding Overseas Chinese Youth Award in 2004, and Innovation Award from University of California in 2005. He was elected as Fellow of The American Institute for Medical and Biological Engineering (2007), Collegium Oto-Rhino-Larygologicum (2008), IEEE (2010), and the Acoustical Society of America (2011).